One of the never-ending questions about Managed Services is: What's Covered? 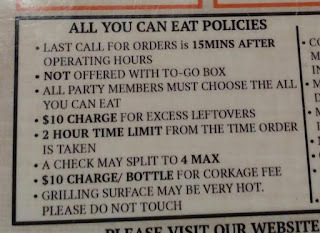 Let me start by being very clear about what's NOT covered: "All You Can Eat." That term - that concept - is the worst thing you can promise. Ultimately, AYCE is undeliverable. It's stupid at best and dishonest at worst. At least once a year, someone emails me with a horrible story in which a client has taken advantage of them due to their AYCE policy. I feel in my bones that I'm just about to get another one as IT service providers are asked by their clients to install free upgrades from Windows 7 to Windows 10 on old, crappy machines that should have been retired five years ago. And they'll be asked to do it for FREE because there's an all you can eat contract. All a client can eat is all the profit of your company. I really need to do a separate blog post on this, but for now, please believe me. 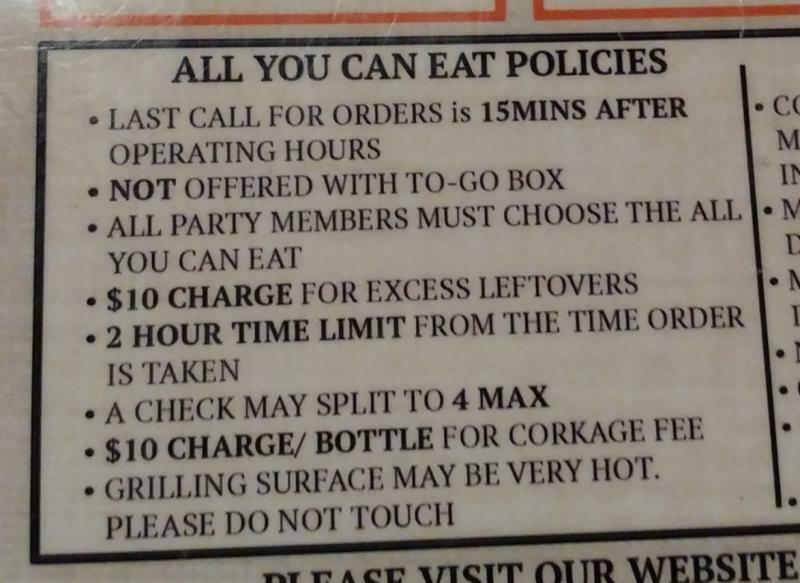 If you offer All You Can Eat, you will regret it one day. Managed Services covers the maintenance of the operating system and software. This phrase is elegant, it is precise, and it is succinct. Managed service is fundamentally a process for maintaining client systems. It is not intended to include projects or project labor. That simple phrase - "Managed Services covers the maintenance of the operating system and software" - is easy to remember. It's also easy to teach to your clients, prospects, and employees. And it also makes clear what is not covered: Hardware and non-maintenance labor. You can choose to cover hardware under specific circumstances. Again, that's a topic for another blog post. The key phrase to remember what's not covered is: Adds-Moves-Changes. The example I give to everyone is very simple. If you want me to install a program on your machine, that is an addition. Therefore, the labor is billable. As soon as it's installed and working, then it's covered by managed service. After that, if it stops working, we will fix it for no additional charge. The exception, of course, is specialty software that is either a major line-of-business application or something you had programmed specifically for your company. Those programs are not "off the shelf" and must be under a maintenance contract in order for us to include them in managed service. Write that down: Add, Move, Change. It could literally be the difference between profit and loss for your managed service business. Next question: What about clients who always need X hours per month? Can we include that? Well, yes, of course. But you need to be careful. We have had clients with huge turnover due to the nature of their business (e.g., a call center). Because we know they will use up a certain number of hours per month adding and removing users, we pre-sold them blocks of time. You could add "up to x hours" labor to the monthly bill and just increase your recurring revenue. As long as it works for both you and the client, it's good. In general, I like the monthly bill to be as consistent as possible. Another goal of managed services is to make the invoicing as predictable as possible for both you and the client. Deep in my heart, I believe that most people who call themselves managed service providers are not providing managed services. They are using the terminology because it has become so common. But they are rolling out marginal or even unprofitable programs - and calling it managed service. You do not have to use my exact phrase above. But I think you'll make more money if you do. Whatever phrase you use, you need to draw a big, dark line that separates billable from non-billable work.